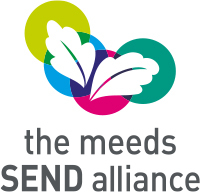 London Meed has a SENCo with a Post-Graduate Masters Level qualification in Special Educational Needs. Other staff also have additional training in areas of special need. When plans are made for staff to work with specific pupils we will look at whether we need to ensure they have specific training to make the best provision for pupils. Training is provided by commercial agencies, West Sussex, the local schools cluster or within school as appropriate. All staff have training most weeks in different areas of education and teaching. In addition to this there are courses and special training that individual teachers and Learning Support Assistants attend in English and Maths but also other areas linked to social and emotional need, sensory and also speech and language and communication. All Learning Support Assistants receive regular training and updates on specific areas of SEN.
Where it is planned for a LSA to work in a class where children have specific and identified difficulties they may be included in training for supporting such need.